This is a sponsored post written by me on behalf of Sparkling Ice. All opinions are 100% mine. Thanks to all the companies, and readers, who help support Cravings of a Lunatic. 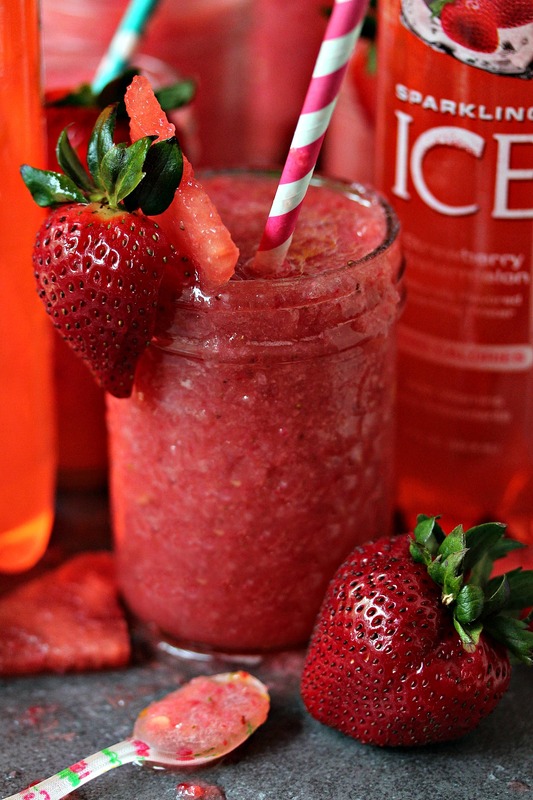 I’m here with another fun recipe for my partners this summer, Sparkling Ice. We’ve teamed up to bring you fun, bold recipes for the summer season. Summer is all about refreshing drinks if you ask me. 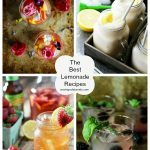 I love making summer sips to quench my thirst during the heat. 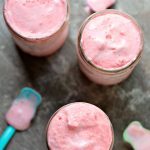 Recently I made some great Cherry Limeade Ice Cream Floats. My plan for this post was to share our trip to Toronto with you. I wanted to include you in our road trip by sharing photos with you. Let’s just say “best laid plans”. Life just never works out the way you plan. We drove up to the city to help our son and his girlfriend move into their new place. We haven’t seen them since Christmas so we were so excited to see their faces Having our son move closer to home again was just the best feeling in the world. Spending time with the kids was absolutely amazing. We had so much fun and got some quality time together, which everything when your kids get older. You realize how important those moments are. Well, I had a bit of an incident. Or better yet, an accident. You can read more about it another post, but long story short I got hurt. If you are new to my blog you should know I’m seriously accident prone. I took a nasty spill in a parking lot and came away with some bone bruises and a couple of broken toes. My wrist and both of my feet took a serious blow. So instead of having adventures I’m laid up resting my body. Sounds fun, right? It’s not. 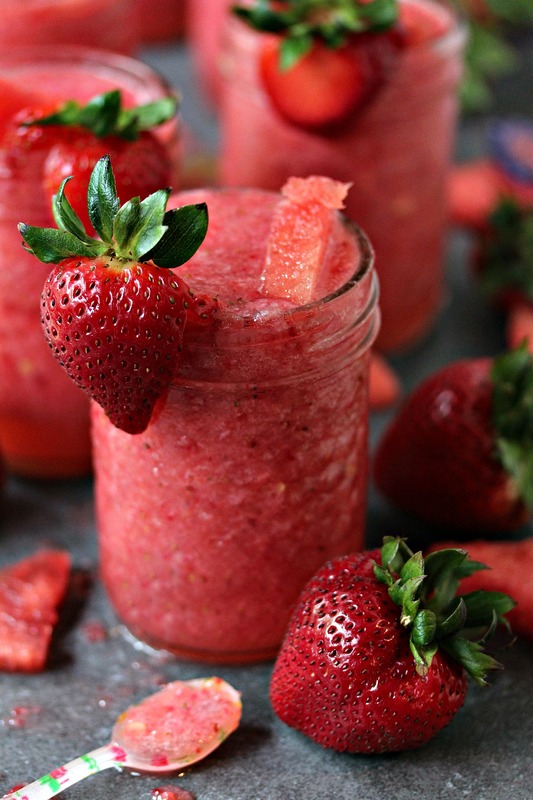 Luckily I have Netflix and Boozy Strawberry Watermelon Slushies. So thanks to my pals over at Sparkling Ice, I’m all set for a few days/weeks of rest to let my body heal. They sent me enough Sparkling Ice that I’m all set for my time off. I have mountains of their Strawberry Watermelon, as well as tons of their Cherry Limeade, Pink Grapefruit, Black Raspberry, and Black Cherry. I can sip to my hearts content while I watch Netflix, and maybe rent some movies. I’ll be all healed up in time for my next post. I’ll be bringing you along with us to Point Pelee. It’s our favourite park in the world. In the meantime let’s all sip some Boozy Strawberry Watermelon Slushies. If you’re not into boozy slushies just leave the vodka out of the recipe when you make it. If you like them more boozy then add more vodka. Easy as pie! Okay, now I want pie with my slushie. Anyone want to bake me a pie? In a blender pulse the ice to crush it. Add watermelon and pulse again. Add strawberries and pulse again. Keep pulsing until everything crushes nicely. Add the Sparkling Ice and vodka, pulse or mix to combine. Pour into chilled glasses. Garnish with fruit if you desire. Serve with a big old slushie loving smile! “DO MORE. LIVE MORE. AND EXPERIENCE MORE.” Words to live by. Be bold, and full of adventurous spirit. Always. Flavor Up your summer with Sparkling Ice wide range of sparkling waters, teas, and lemonades. Their color and intensity will rock your world! 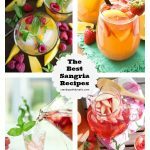 PIN THIS TO YOUR FAVOURITE SUMMER RECIPES BOARD! Check out my recipe index for more amazing recipes. 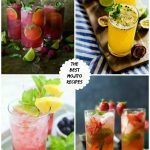 You can find more beverage recipes there too, as well as lots of summer recipes. These look AMAZING! 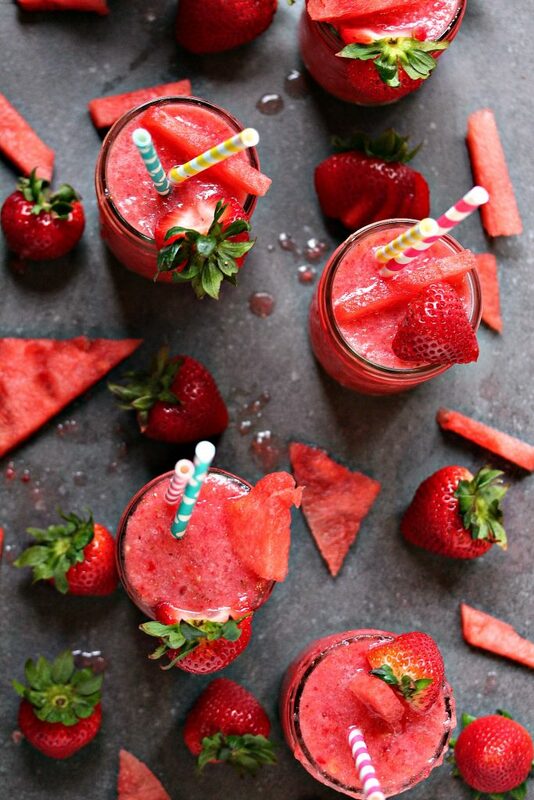 I just shared a Strawberry Watermelon Smoothie, great minds 😉 I can’t wait to make this. I wish we could hang out together and drink them! I am so glad you are feeling better! Oh how this screams summer! 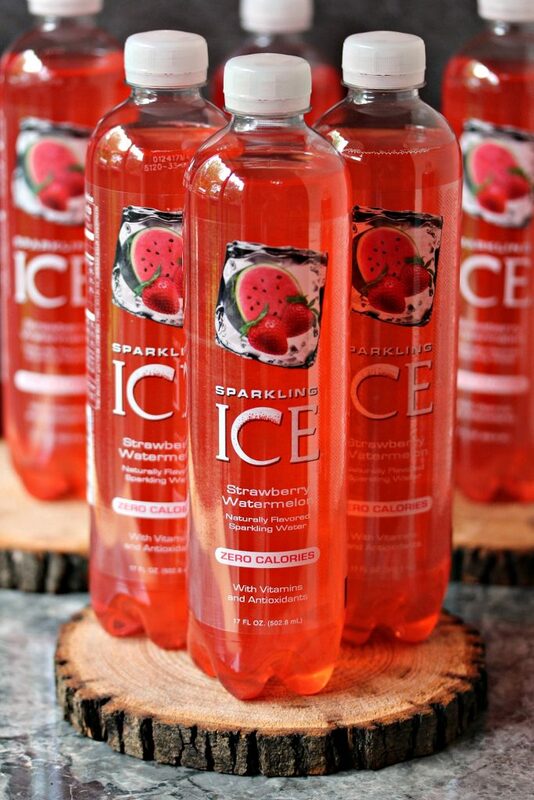 I love sparkling ice drinks! Never thought to use them in a slushie – flavour bonus!!! I’m picturing this by the pool with a bunch of friends. Me too Diana. Once summer fruit comes out it’s all I want to eat, and drink. Oh man.. I’m sitting here right now devouring a watermelon lol. This looks delicious! Ha, I don’t blame you. I love devouring watermelon on a regular basis. Thanks so much. Ha, it’s okay, I love you too. And everything you cook! Hope you love the recipe. 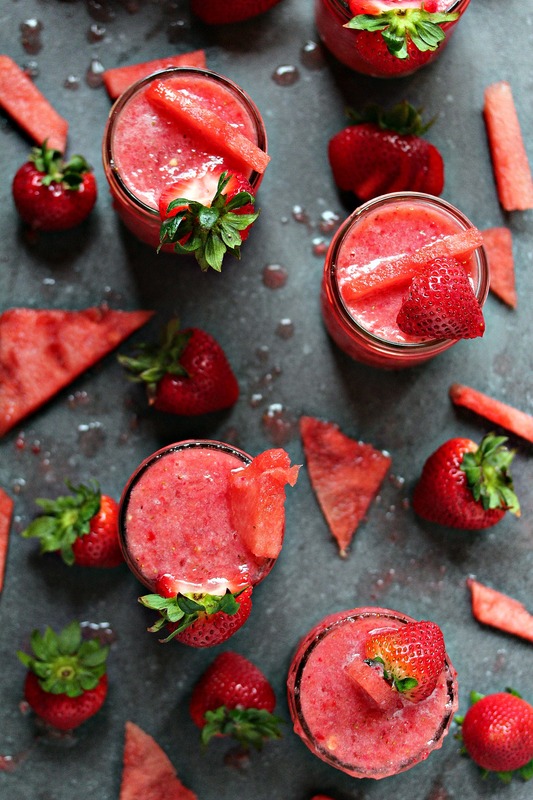 It’s perfect for leftover berries and watermelon. I froze the leftovers and used it as a granita too. Very yummy! And omg, thank you so much Nagi. I really struggle with styling and light. Having you say you like my photos is such high praise. I appreciate it. These are so pretty and are making me thirsty! 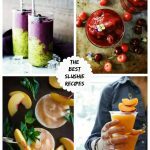 I love a good boozy slush! 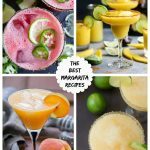 These look like the perfect summer drink!! 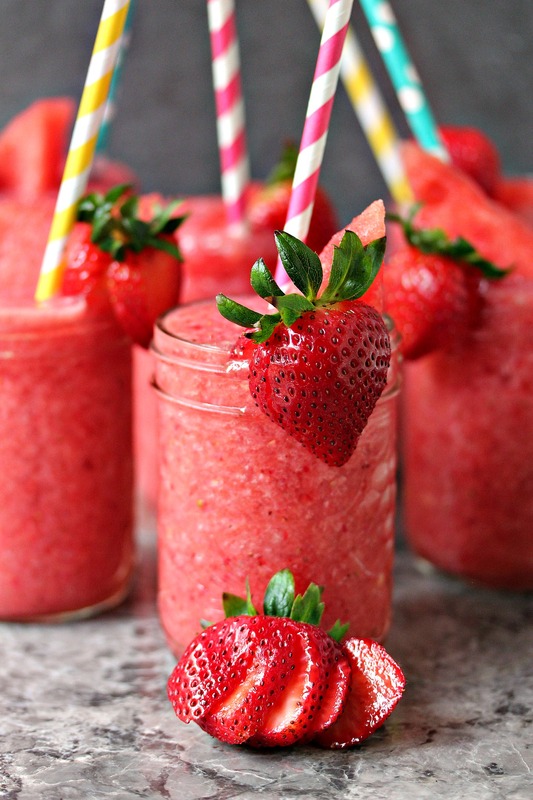 Gorgeous and so refreshing! Kim, I hope by now that you’re well on the mend and that drinking a few boozy strawberry watermelon slushies hasn’t taken away your will to do anything other than drink a few more. Or am I just projecting what I’d feel like if I had a few of these gorgeous drinks. Yes please, I’ll take one with 🙂 These look so good and refreshing! 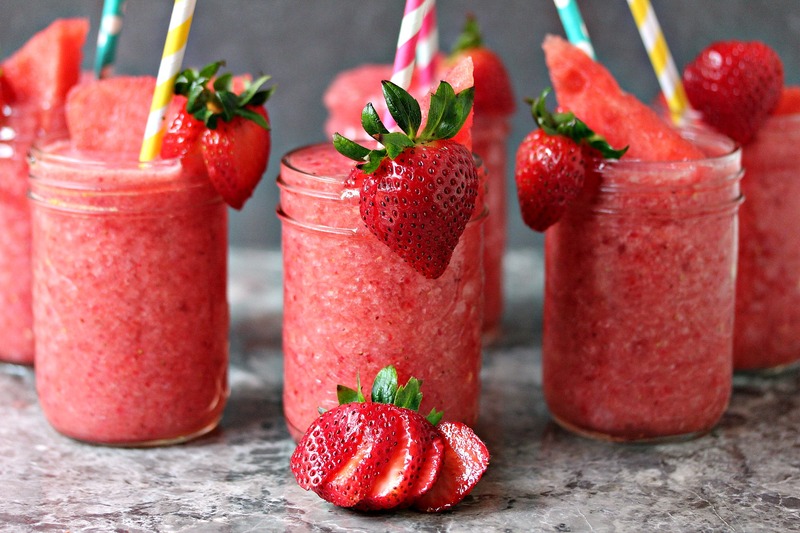 That slushie looks seriously divine! It will be perfect for poolside this summer…nothing like a refreshing slushie on a really hot day! I love that Sparking Ice has vitamins and antioxidants! And it’s so delicious! This drink is GORGEOUS, Kim! Perfect sipper for summer! a) these photos are GORGEOUS!!! b) I am soooooooo into boozy slushies. c) I need one asap. I’m going to need some of these this weekend! It’s supposed to be like 95F here all weekend. 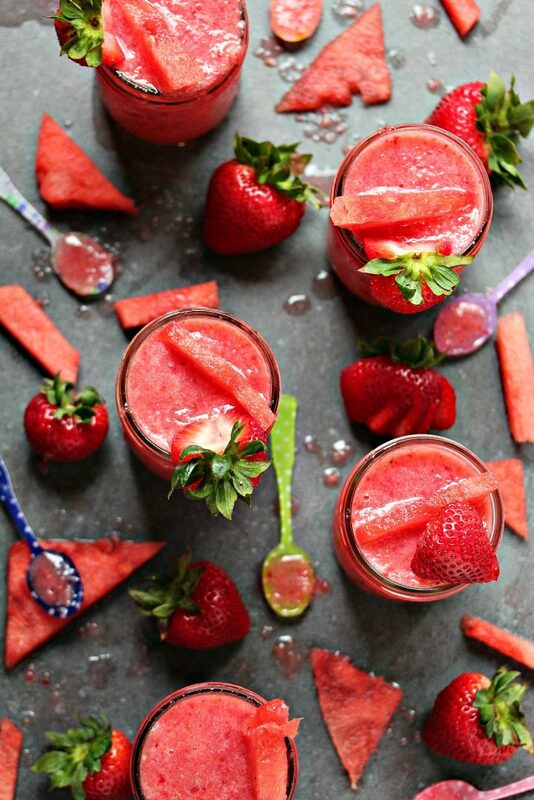 These would be perfect to cool off with! These look so fun for summer! Love the color and the pictures are gorgeous! Hope you are feeling better and healing ok! Thanks so much Erin. I had a blast making these. I’m almost all healed up. Just in time to head back to Toronto and fall down again. Ha. Totally gorgeous and perfectly refreshing! A must- try for summer! Thank you so much Lori. I had a blast making these. So happy with the way they turned out. You’re killing it with all these Sparkling Ice concoctions! I want to make them all! Thanks Gina. I’m loving this project. It’s been so much fun, and super delicious. I love their water. I just wrote “Sparkling Ice” on the grocery list. Must try it, and your bevvie! You will love their water Dorothy. It’s so good. And thank, hope you love the slushies. 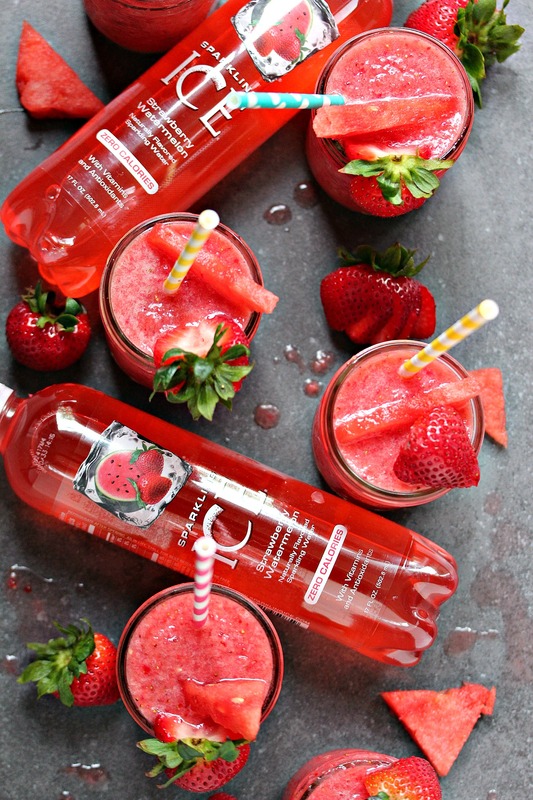 What a great way to add even more flavor to Sparkling Ice!! These are insanely tempting! Beautiful! Looks delicious! Definitely will be pinning this! Amazing job. Oh you poor thing! That does NOT sound like fun, but I’m sure a slushie or two will have you feeling a bit better! Love this recipe, and your photos are gorgeous. Thanks for sharing at Merry Monday! Pinned! Thanks so much for joining us at Delicious Dishes! 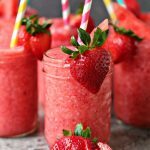 We love your Boozy Strawberry Watermelon Slushies recipe and hope you’ll join us again this week! WOW… mouth watering recipe. I am going to make it today itself. Thanks for the recipe. Yum! These just scream summer! Thanks for sharing on the Inspire Me Monday Link Party!